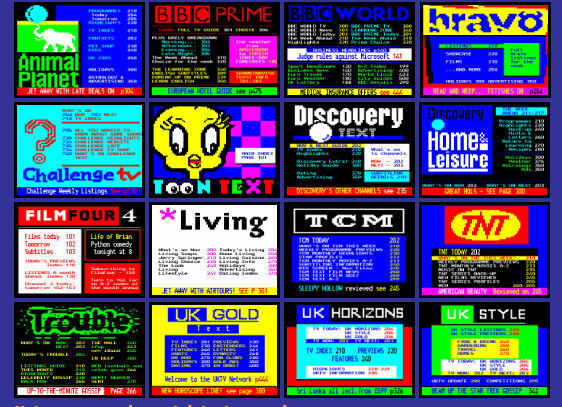 Intelfax Ltd provided programme related teletext information services for numerous terrestrial and satellite channels. Designs for some of these are shown here (not necessarily as broadcast). 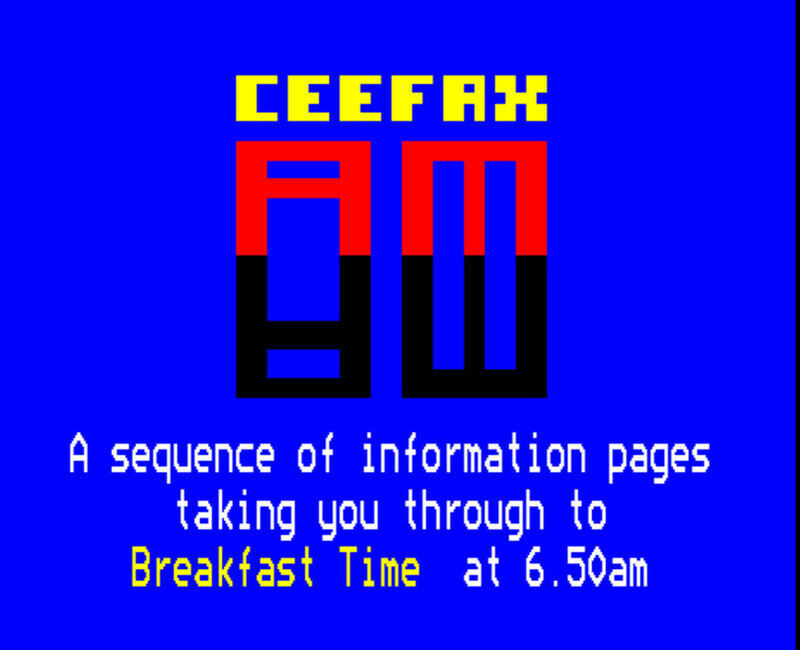 The composite image was created for Intelfax website/publicity purposes.